Unlike varicose veins, which are large, spider veins are smaller. Spider veins are easily visible through the skin and for those who have them, can be a cause of embarrassment and low confidence. 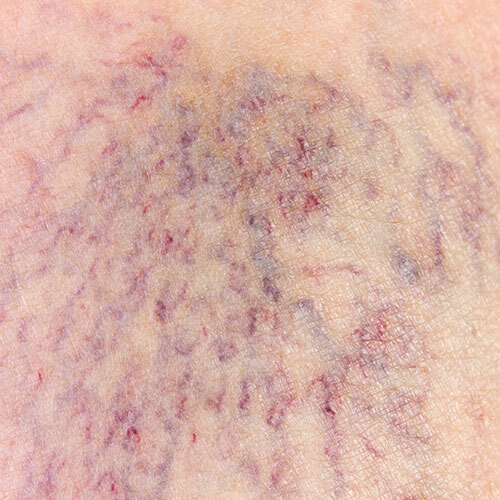 Spider veins are commonly found on the face, legs and thighs. They get their name from their spiderweb-like appearance. Spider veins are caused due to increased pressure in the veins. Hormone changes, exposure to the sun and injuries can result in their appearance. Varicose veins can also lead to the development of additional spider veins. While the genetic factor is inconclusive, the likelihood that a person can develop the condition if it runs in their family is possible. Can Spider Veins disappear naturally? As spider veins are the result of increased pressure, better circulation may help relieve the condition. It is still advisable to seek professional help to address the issue. It is advisable to see a qualified doctor so the appropriate treatment can be prescribed for more effective and safe results. The Laser Spider Vein Removal treatment is designed to reduce the appearance of problem veins.